The EOL process will commence in December 2012 with the release of a new version of the SWG. After this point customers with Guardian 2 will no longer be able to receive any further software patches or updates for any part of their Smoothwall system. This includes security updates. Until the planned withdrawal date for Guardian 2, currently set for March 31st 2013, categorisation lists (blocklists) will continue to be available. After 31st March 2013 no further categorisation lists will be distributed. After March 31st, therefore, customers will need to migrate to the appropriate SWG. Any that retain the Guardian 2 system will be unsupported and the categorisation lists will become increasingly out of date. 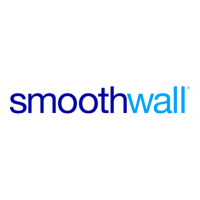 There are a number of critical features that need to be added to Smoothwall products in the coming months. In order to offer these features the fundamental tools (the "toolchain") from which our software is built need to be updated. Any customers who wish to continue to receive updates will need to upgrade their existing Guardian 2 systems to Guardian 3 ("G3"). The upgrade from Guardian 2 is free for any customer with an annual renewal. Any users who are out of renewal will have to establish a new agreement before updating can take place. The scale of the change required to perform the upgrade means that the existing Smoothwall automated update mechanism cannot be used. Customers will be required to download the update file and then initiate the installation process from the Guardian control panel. Following the update it is likely that system administrators will need to review the filtering policies to ensure that they meet detailed requirements. Detailed installation instructions will be provided with the update. Please contact us or your reseller and request the G3 download!